"Having used the services of Complete-Works in the past they were our first choice for extra work that was recently required at our home. The team was very professional, reliable and friendly and the work was completed to our satisfaction." 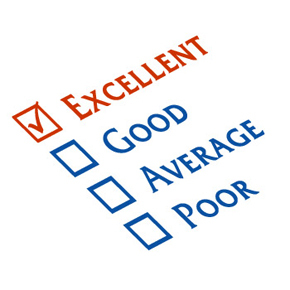 "I am happy with the work done and would recommend you to others. The area painted looks really bright and gives the home a new lease of life. The work was done in a pleasant manner. The team was trustworthy and I felt that I didn’t need to worry." "I can fully recommend Complete-Works. They have done a number of jobs both in my home and at City Gates Church. I was extremely pleased in their approach to the job. They always arrived on time and left the site clean and tidy. The quality of work was to extremely high standards with competitive rates. All the men worked to a high standard and I would have no hesitation in recommending them." "The prospect of welcoming decorators into my home was somewhat daunting  visions of brick dust, noise, disorder filled my mind, but with Complete-Works I needn’t have worried. Complete-Works provided such a high level of service that life continued more or less as normal with minimal interruptions. Best of all, everything was left neat and tidy at the end of each days work. The project finished on schedule and was excellent. Complete-Works has my highest recommendation." "Thank you very much for the work carried out on our house. Complete-Works were courteous and pleasant at all times; delivering a good standard of work. Your willingness to go out of your way to purchase all that was needed was exceptional. We have already recommended you to a family member and will not hesitate to recommend you to anybody that requires building or refurbishment work done." "Amazing transformation, real wow factor stuff, delivered with consideration, integrity and all round respect." "Complete-Works were honest and reliable. They completed the job with efficiency and we felt completely comfortable having them in our home - highly recommended"
"Complete-Works were very thorough in the preparation and it shows in the finished work with which I am pleased."